A picture speaks a thousand words – so said someone once – but in this case 12 pictures speak 137 words – I know I counted them – every single one -that’s an average of 11.63333333 words a picture, proving that the old adage is inaccurate, lazy and a little bit boastful. 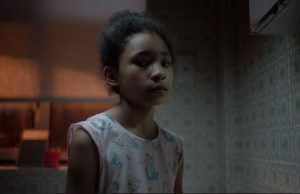 Dubious statistics aside, JJ Keith’s powerful imagery and self -penned words to promote the 2018 Hamburg Film Festival Trailer are by turn funny, emotive, thought-provoking and controversial – as any self-respecting Film Festival ought to be, with Mark Strong’s thoughtful VO read lending a suitably A List range and gravitas to the offering. This film is nothing to do with injured pipistrelles, unless I missed something. It’s Stuart’s latest film for Shell Lubricants’ Power of Partnerships series, featuring the charismatic Ram Bhandari and his musings on all things cricket and what the sport means to him and to India (everything, by the way). Ram works twelve hours a day, seven days a week out of a tiny lockup in Bangalore, and every major Indian, and a quite a few Aussie, cricketers come to him to modify or fix their bats. Shot in a beautifully loose but intimate style, Stuart’s film evokes the soulful chaotic atmosphere of Bangalore and Ram’s world of cricket. Stuart Douglas’s latest for mobile phone giant Xiaomi, publicising the impressive AI assisted camera capabilities of the Mi 6X, features Chinese superstar , actor & rapper Kris Wu. Featuring some truly spectacular vistas of Los Angeles and some philosophical musings on a subject of long close to Stuart’s heart: the nature of photography. Mothering tells the story of a young girl Mia, arriving at her new foster home. When her first period arrives in the early hours, help comes in the form of her foster parent’s elderly mother, Pauline. It’s hitting the festival circuit – so watch this space for information or where and how to see it soon. Where would we be without that friend, the one that is there when you need them, wherever and whenever? Jesper’s latest film for Cheerios follows Joan and Carol, two neighbours who’s friendship flourishes over several decades of fun and adversity – through crises including leaky roofs, house fires, a bat infestation (surely a homage to Catch him Derry), and other neighbours dodgy dance moves. The glue that binds this relationship is bowl after bowl of sweetened cereal hoops – which as part of a healthy diet can afford one sufficient longevity for these kinds friendships to mature, like fine wine. Somehow, in Jesper’s masterful hands, this schtick seems quite credible and entertaining. The famous and somewhat old-fashioned saying “children should be seen but not heard” takes on a new life in Jepser’s latest film for burger giant McDonalds. In this supposedly child-centric world the same old prejudices still exist – if it’s small and noisy it should not be allowed in certain places, namely, restaurants, bars, coffee shops, trains, aeroplanes, churches, cinemas, museums, galleries and just about anywhere else where adults dominate.